Please allow 24-48 hours for our support team to respond to queries. Please note that opperating hours are 9am-6pm, Monday to Fridays, 9am-5pm on Saturdays and 10am-2pm on Sundays. On the site: Use our online store for the fastest, most secure way of ordering club and world soccer merchandise. Bank Transfer : You can pay for your order to the PROsoccer Bank account from anywhere in the world. Once you place your order, we will send you an official invoice. Once you've transferred the total invoice amount into the PROsoccer account, we will then ship your order to you. Bank Transfer and commission fees belong to the buyer. Internet bank Transfer : We accept payments via the internet ( bank to bank ). Once you place your order, we will send you an official invoice. Once you've transferred the total invoice amount into the PROsoccer account, we will then ship your order to you. Cash Deposits : Cash deposits attract a R40 cash deposit fee payable by the Buyer. This is because South African banks charge a rather high fee on cash deposits. International EFT Payments (outside South Africa): For buyers who choose to do a bank transfer from a bank outside of South Africa, you will be liable for ALL bank charges, swift fees etc...Pro Soccer will not be liable for those charges. There are usually 3 options to choose from when doing an international swift transfer. The customer paying MUST select the option where the sender (paying customer) will pay the fees for both the sending bank and receiving banks. If the buyer does not absorb those charges, then whatever bank charges occur from the transaction, will be deducted from your order. Your order may be downgraded or held back until those bank fees have been paid by the buyer. Cheque Payments : We do not accept any cheques under any circumstances. If you are only able to pay by means of a cheque, you will need to get special authorization for this payment method. NB: your order will only be processed once the cheque clears in the Pro Soccer bank account. Cheques can take anything between 12-25 working days to clear. There will be no cancellations or refunds on cheque payments as clearance takes time and this is why we do not usually accept cheques. All payments made off the website should be accompanied by a reference number which we will provide. This way we are able to trace the source of each payment. Please use your Order Number as the reference when paying. If you are not provided with an reference number, simply email us and we will provide you with one. All invoices and quotations are valid for 7 days. After 7 days, your quotation or invoice expires and a new one needs to be requested from the customer. If there is a price increase after the above expires, you will be sent an updated quotation / invoice with the new prices. In the case of a deposit or an incomplete payment, you will have 30 days to complete your payment. If full payment is not received after 30 days of the invoice date, a new invoice with the updated pricing will be sent to you. In the case of a laybuy purchase, where the correct laybuy process has been documented, you will have 3 months to complete your laybuy. If your purchase is not completed within the 3 months, the original price will absorb a 10% increase for every month after the 3 month deadline. *Under no circumstances will any items or orders be released unless paid in full. **Under no circumstances will any items or orders be printed or customized unless paid in full. Cards - We accept most major cards; Visa, Mastercard , Maestro , Diners Club and Amercian Express. Free Exchanges If it doesn't fit, we'll exchange it for Free. Please refer to our FREE EXCHANGES page for more info. Damages Any damaged goods should be returned to us for replacement. Incorrect/faulty goods must be returned to us before replacements are sent out. In this situation Pro Soccer Merchandise cc will accept all postage charges. All prices include sales taxes (where applicable) unless otherwise stated. 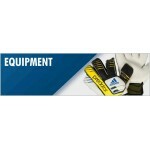 Pro Soccer Merchandise cc aims to arrange shipment of all "IN STOCK" items within 48 hours of receiving your order. If your items are not in stock the order will take 6-12 working days for the stock to be ordered from our Suppliers. All countries outside of South Africa need to add an additional 5-15 working days. Your order may be delayed if the item is not in stock with our suppliers. Please call us if you have any querries regard stock or to double check size availability. Pro Soccer Merchandise cc at times may not be able to supply by the estimated dates until our suppliers get the items in stock. If you have opted for our "CUSTOM NAME & NUMBERING" service, please add an aditional 4-8working days to the above. Shipping/Postage of "IN STOCK" goods will take place within 48 hours of received payment confirmation. Goods will be posted Counter to Counter or Door to Door depending on the option you selected, and a tracking number will be provided for the customer to track the order. If the item you purchased is out of stock, please allow an additional 6-12 working days for the item to be re-ordered from our suppliers. If our suppliers are out of stock, prosoccer will then source your item from another supplier/retailer but the price will remain the same, customers will not be charged extra if this occurs and prosoccer will pay for any additional costs. NOTE: If your order needs to be specially manufactured or designed (eg: certain customized team kits) or "Special Order" items from outside of South Africa, please allow an additional 2-4 weeks. Please take note of the "AVAILABILITY" of the item you wish to purchase before placing the order. The Availability Days specified are estimated and refer to Working Days (Mon-Fri) Weekend days are not included. The Availability Days are estimated and may differ from time to time so please be patient should their be a delay. Availability Days are the amount of days it takes for us to order from our supplier...it does not include the "Delivery Days" when you select the delivery option. Your selected delivery option must be added to your estimated availability days. For example, if you order an item that's availability is 2-3 Days and you select a 4-6 day delivery option, then you must add the two together so the total estimated delivery time on this item would be 6-9 working days from date of full payment for your order. *NOTE: Please allow an additional 6-12 working days should the item be out of stock or on special order. **NOTE: Please allow an additional 4-8 working days should your item need printing. ***NOTE: If your order needs to be specially manufactured or designed (eg: certain customized team kits) or "Special Order" items from outside of South Africa, please allow an additional 2-4 weeks. All items will remain the property and responsibility of Pro Soccer Merchandise cc until the items have been dispatched from our warehouse. Once your parcel has been posted or couriered to you it is then the property and responsibility of the customer who placed the order. We use the South African Postal Services for all Counter to Counter deliveries and "The Courier Guy" is used for all Door to Door deliveries. Should there be any delays or issues from their side, they will either contact you as the customer, or you will need to contact them as the receiver of the parcel. Our support team will assist as much as possible from our side where we can. Confirmation of payment refers to the amount reflected in the bank account of Pro Soccer Merchandise cc, and not the one you may have with you. Customers must use there invoice number as a reference when paying. The period stated within which you will receive your order is approximate. Goods will be sent to your nearest post office of the address given by you in your order and stated in the Order Confirmation or directly to your door if door to door services are selected. Please note that your goods may be sent to you in instalments. Title to any product ordered will pass to you once Pro Soccer Merchandise cc has received payment in full for that product. Risk in any product ordered will pass upon delivery to you. Once payment has been made you confirm that you are happy with what you have ordered and we will then process your order. Should you then wish to cancel your order after payment has been made and we have not yet sent or placed an order with our supplier, we can refund you the full amount less 5% merchant / bank charges. If we are notified too late and the supplier is not able to cancel the order, there may be penalty charges that occur as we may need to return the item/s to our supplier if it is not a popular item that we can resell again. Please note that in cases of large value refunds we may request a copy of your ID or a letter from your bank confirming the account details for the refund to be processed. These are security measures that have been put in place to protect our customers. Any additional charges for customs clearance must be borne by you. You should note that customs policies vary widely from country to country; Pro Soccer Merchandise cc advises each customer to contact their local customs office for further information. Please note that when shipping products internationally, you should be aware that cross-border shipments are subject to opening and inspection by customs authorities. Parcels can only be traced from our side up until it leaves South Africa. Once the parcel is in transit to your country it will only be traceble again once it enters your country. You will need to contact your local post office with your South African tracking number, and they will then give you the new tracking number of your own country from their side. For Christmas Deliveries, we recommend that you order by the 20th November for out of stock items or 10 December for instock items. We will endeavour to dispatch all 'in stock' orders within 48 hours, however we cannot guarantee delivery on or before the 24th December as the post may be delayed in your area. There may be times where your parcel is delayed by customs in your own country and will be the responsibility of your own customs to contact you as the receiver. Should they contact us as the sender, we will forward their notification to you immediately. Should your item not be delivered after 8 weeks, please let us know so we can follow up as best we can from our side. Notes The store has been designed to only allow items that are in stock to be ordered but not the exact size of the item , to ensure that we have the correct size in stock please do not hesitate to contact us via telephone or email us with this request. 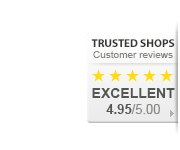 We are more than happy to help you as quickly and efficiently as possible. WASHING OF ALL PRODUCTS All products must be treated seperately when washing. DO NOT soak or leave in water. Items must be hand washed in cold water, or dry cleaned. DO NOT wash in any washing machines as this will cause damage to your jerseys. Pro Soccer recommends jerseys to be Dry Cleaned. Any damage to the jerseys by any customer who do not adhere to the above will not be refunded. Pro Soccer Merchandise cc will not be held responsible unless the above was taken into consideration when washing. About Pro Soccer Merchandise cc. 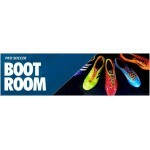 Pro Soccer Merchandise cc is a company with sensible ideas about selling Soccer merchandise. 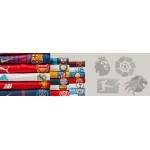 We sell only official soccer merchandise direct from the licensed manufacturers without the huge mark up. All our shirts, jerseys, jackets and caps are made out of the finest fabrics. We do not sell rejects or seconds. In short, we have the finest quality soccer merchandise to order. Contact us Any queries/comments/suggestions can be forwarded to: help@prosoccer.co.za.